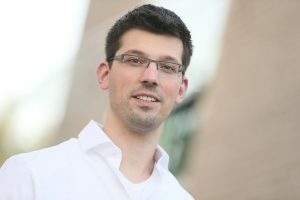 ARCNL group leader Oscar Versolato has received a Starting Grant of 1.5 million euros from the European Research Council (ERC). The ERC uses the Starting Grants to support talented scientists in the early stages of their career in pursuing ground-breaking projects for a duration of five years. With his project ‘EUVPLASMA’ Versolato addresses the physics of special light sources that are used in the semiconductor industry to produce future generations of chips for computers, tablets and smartphones. These chips are made ever more powerful by packing more and more components on them of ever smaller sizes. The key element in creating the required tiny structures is a photographic technique, called lithography. The smallest structures can be made with extreme ultraviolet (EUV) light, light with a very short wavelength – like a very fine brush, painting very delicate patterns. The catch is that EUV light is extremely difficult to make. We simply have no laser or light bulb for this light. Instead, a sequence of many, tiny tin droplets is being used. 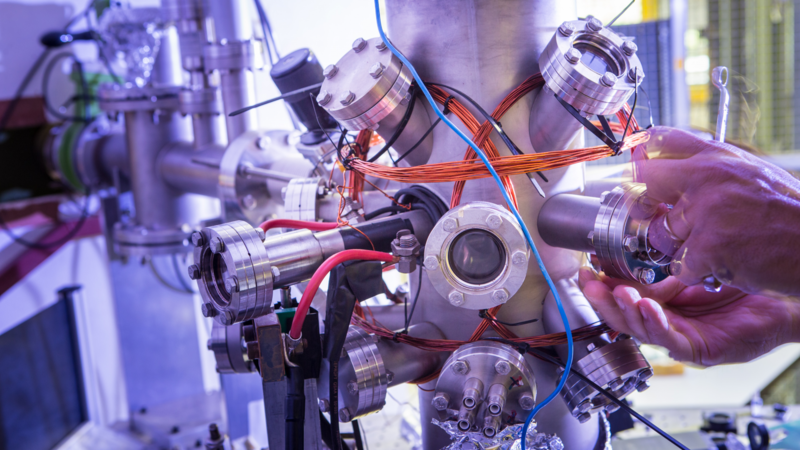 Each is blasted very precisely with a high-power laser pulse that makes the droplet so hot – up to a million degrees Celsius – that it emits a flash of EUV light. With an elegant combination of refined experiments, Versolato will shine new light on this highly complex process. The outcome will not only deepen our scientific insights, but it also aims to help improve the technology.